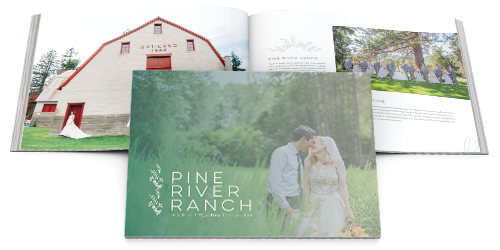 Are you planning your wedding and considering hosting your special day at Pine River Ranch? Request our free Leavenworth wedding guide and see all our beautiful wedding venue has to offer! Our guide includes helpful information about our wedding packages and venue, what is included with all our wedding packages, and our preferred vendors for food, music, photography, and more! This interactive guide can be viewed online or printed out for your convenience – just fill out the form below. If you would like to speak with one of our special events coordinators, please Contact Us today!